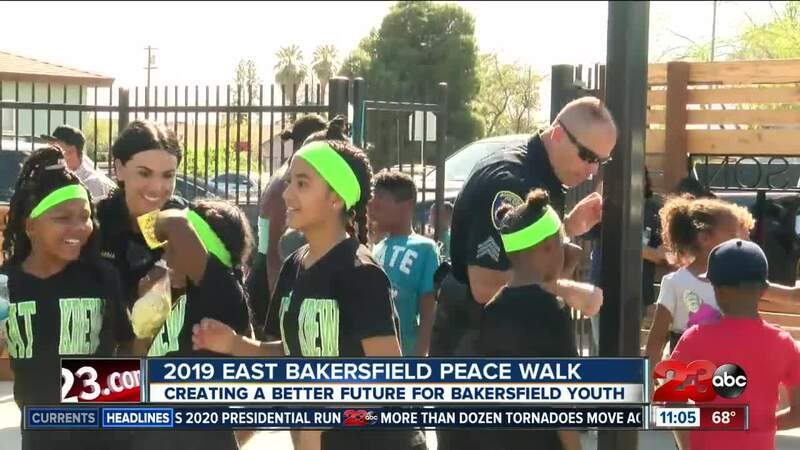 2019 East Bakersfield Peace Walk hopes to keep kids off the streets. BAKERSFIELD, Calif. — Peace and unity. That was the message sent at the 2019 Peace Walk in East Bakersfield complete with food, music, and games. The event was led by Stay Focused Ministries in partnership with Safe Streets Bakersfield in the hopes of keeping kids off of the streets. The event also emphasized the importance of a positive relationship between the Bakersfield police department and youth, with officers dancing and playing games with the children in attendance. Officers say they want Bakersfield kids to see them as community members and not just law enforcement. Community members say events like this are a step in the right direction, making sure that the lives of Bakersfield kids are filled with success. Stay Focused Ministries has another community event coming up on Saturday, April 20, this time at Martin Luther King Jr. park. The event will be at 10:30 a.m. with an Easter egg hunt, free food, music, games and more.